We are distinguished Tour Operators in Raipur, Chattisgarh that are engaged in offering our clients with tailor-made tours. As chalking out a travel plan is calls for immense knowledge and patience, our expert team of professionals does the needful. We offer keen tourists with both Domestic & International Tours to some of the most captivating travel spots in India and abroad. 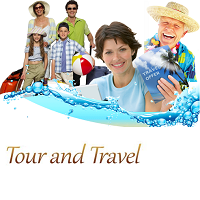 Clients can easily avail a variety of tours offered by us. Beach Island Tour, Golden Triangle tour, Pilgrimage or Religious Tour and Wildlife Tours are some of the tours you can choose from. At domestic front we cover Chhattisgarh, Bengal and Orissa and at the International domain we cover Singapore, Thailand and Europe.